Internet penetration has been increasing with an average of 8% from the past few years. This has led many businesses to come online. E-commerce has set increased its share in global retail sales from the past few years at a considerable rate. E-commerce business has been increasing at an average of 20% year-on-year from the past few years and is expected to cross $4.88 Trillion by 2021. Amidst all this, eCommerce businesses are still struggling to convert website visitors into customers. Despite heavy marketing spends, the conversion rate is one of the major worries of eCommerce players. Big corporate houses are using built-in technologies and lucrative offers to optimize their conversion rate but for small players, it is a big reason to worry. A lot of eCommerce faces the problem of shopping cart abandonment. People add products in their cart but doesn’t end up buying the things. 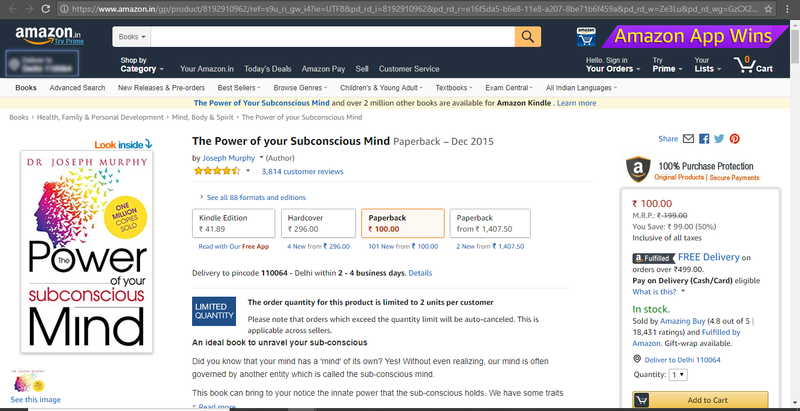 One of the major reasons is that people drift from the cart page by clicking on the navigation menu. You need to kill any navigation on the cart/ check out page. You would see that eCommerce major Amazon has also eliminated all navigation from their check out page. It helps in stopping people from getting diverted from the main action of shopping. 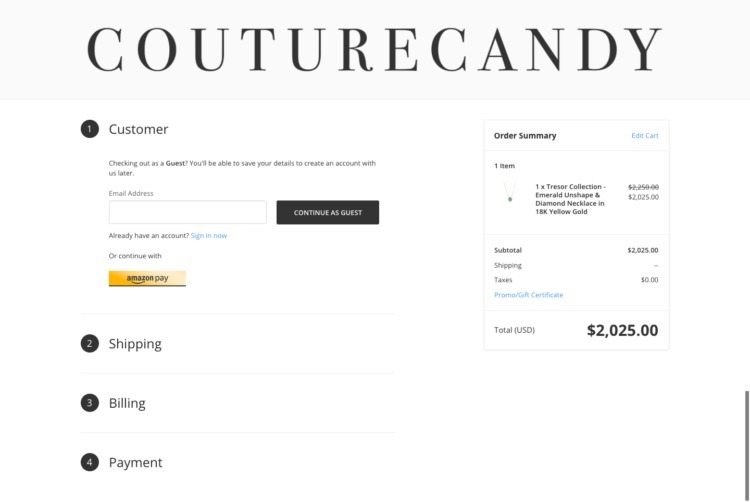 Even other major players like couture candy follow the same conversion optimization technique and have removed any distraction from the check-out page. Did you know, around 77% of customers said that they won’t make a purchase if there’s no live chat support in a research? People often get confused while browsing through products and some help at that time makes them take better decision. This phenomenon has been used on offline stores since ages. Live chat app enables you to interact with your website visitors in real-time and give them a pleasant shopping experience. 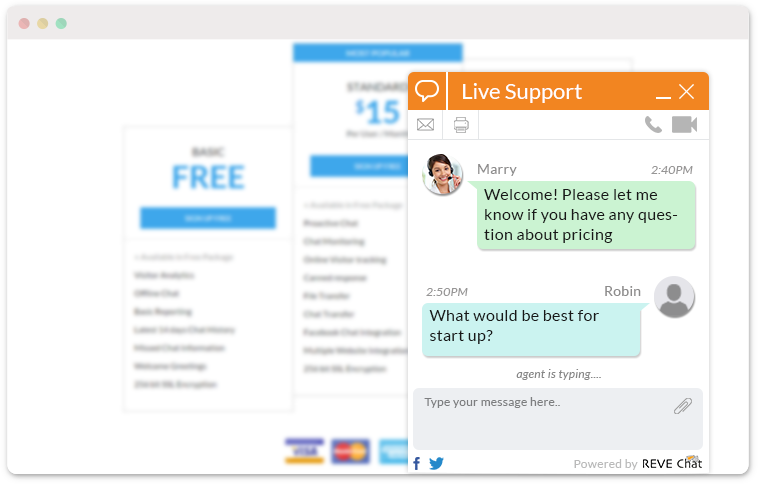 You can install live chat extension for your OpenCart eCommerce store. You want your website visitors to buy something from your website. But how will they buy if they are not able to locate the “Buy Now” or “Add to Cart” button. I’ve seen a lot of product detail pages where I had to search for the “Buy Now” or “Call-To-Action” button. This is one of the major conversion killers. Make your CTA button always present and outstandingly visible increases the chances of conversion. Making it always present (in front of their eyes), no matter how far people scroll. This can be achieved by simple jquery code. Change the color of the CTA from the website theme. This will make the CTA button stand out, hence people will start noticing it. Luiz Centenaro was able to increase mobile conversion by 15% making CTA always present in front of the eyes. One thing which has annoyed a lot of internet users is the use of a Pop-Up. People have always criticized a pop-up window while browsing through a web page. 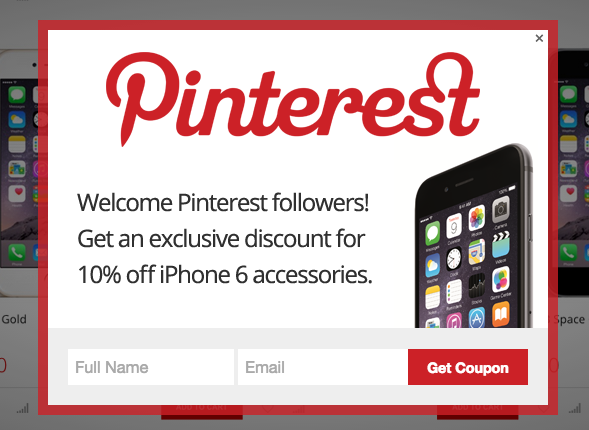 But do you know that if used at the right time, a pop-up window can boost your conversion rate by up to 20%? I’m talking about Exit Intent Pop-ups. When a user is browsing through your website and checks a product but then tries to leave, you can show them a pop-up offering some additional discount of 5-10%. It enhances the chances of a person end up buying the product. While designing your website, you may think that your design and marketing will sell the product but you’re wrong. A consumer tends to trust more on another user rather than product seller, hence it is necessary for you to get reviews from people. According to research, nearly 70% of consumers rely on online reviews before making a purchase. Even the eCommerce giant, Amazon understands the importance of reviews and places product rating just below the product primary details. Reviews show the honest opinion of people about the product quality. As a seller, you’re also supposed to answer the reviews by acknowledging the issues (if any) and thanking customers for leaving good reviews. A simple thank you may go far in building their connection with your brand. And a simple negative issue addressed will help in building your brand image showing that you care about your customers. Organizations spend a lot on marketing their website. People come to your eCommerce portal from different sources like search engines, social media, email marketing etc. You can’t treat all same. You need to go beyond traditional methods and offer Personalization. If you show them that the offer is meant for them exclusively based on the source, they are more tending to convert. According to a report by Customer Contact Week, 66% of businesses believe that personalization is a quality that best defines customer-centric brands. Do you know that around 66% of online shoppers have decided not to buy an item because of shipping costs? You would understand the impact of shipping costs have on your revenue. There is no doubt about the fact that people love free shipping. It may not make sense to you like this, but you would be amazed to know that, orders with free shipping costs around 30% higher in average order value. You may offer a small shipping fee mentioned upfront rather than on check out page. It will make your policy transparent and gains the trust of customers. In traditional or offline shopping model, touch and feel of a product have played an important role in customer’s buying behavior. This part of the shopping process has been missing in the eCommerce model. Here, the image is the only aspect which convinces the customer to buy it. Hence, the image quality holds the maximum importance in the buying process. Showing the product images in high-quality form different angles with zoomable functionality enables the website visitors to check the product thoroughly. They tend to trust you more for better information and end up becoming your customers. An attractive product image can also be shared on social media channels which will increase brand popularity and traffic. It can also appear on search engines like Google Image search which increases your website overall rank and also brings you more traffic and conversion. In the world of smartphones, high bandwidth internet connection, nobody wants to browse a website which takes too much time to load. Did you know, 40% of people abandon a website that takes more than 3 seconds to load. Impacts your brand image negatively. Impacts your SEO rankings negatively. Yes, chances of your website ranking on the first page decreases exponentially if it takes more than 3 seconds to load. Heavy images take a lot of time to load - Optimize them. A number of HTTP Requests. 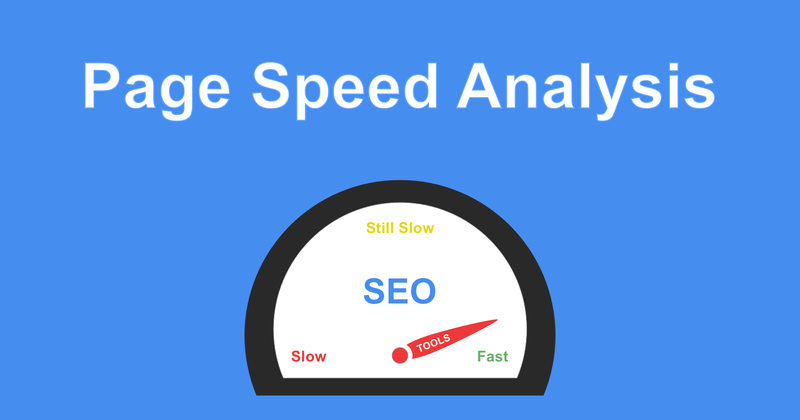 You can monitor your page load time speed from Google PageSpeed Insights tool. These factors have helped a lot of eCommerce store to increase their conversion rate and I’m sure that they will help you too.